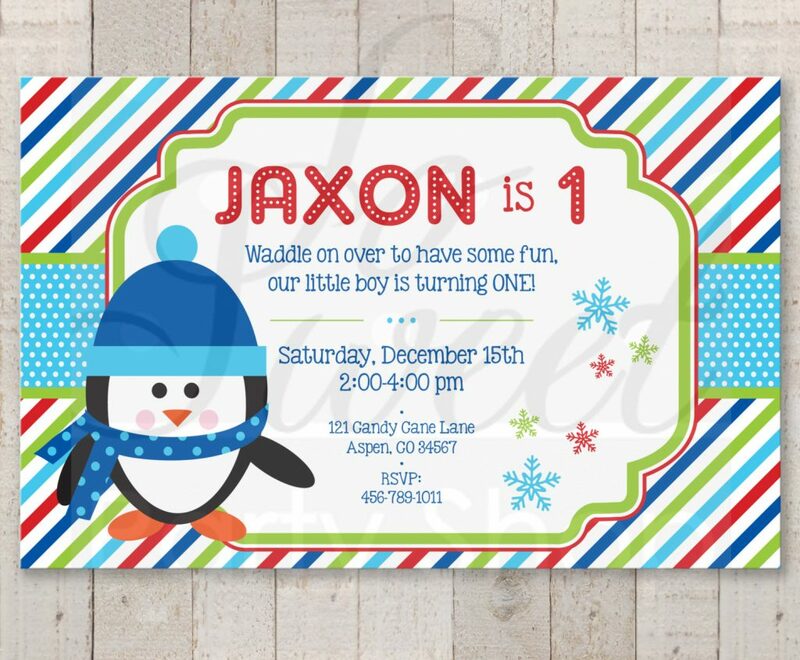 What to do when your little one’s birthday is in one the coldest months of the year? 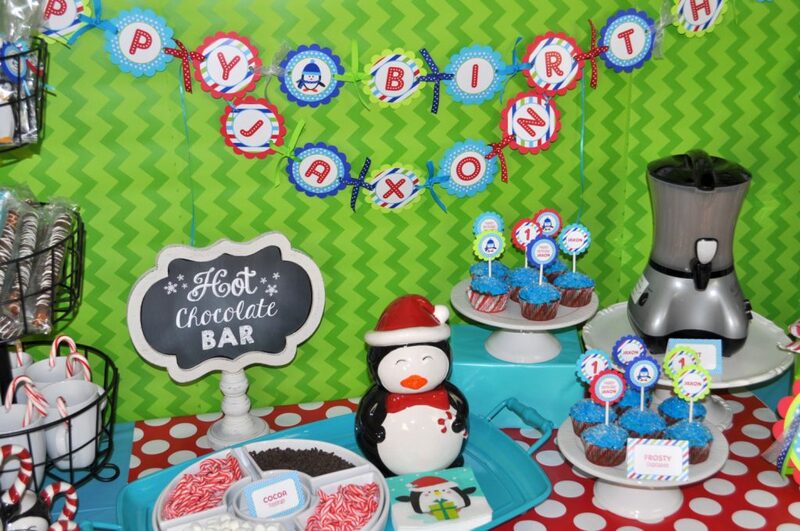 Have a cute penguin birthday party complete with a hot chocolate bar of course! For the table setup, I used an inexpensive plastic tablecloth layered with a piece of fabric in a coordinating polkadot print. 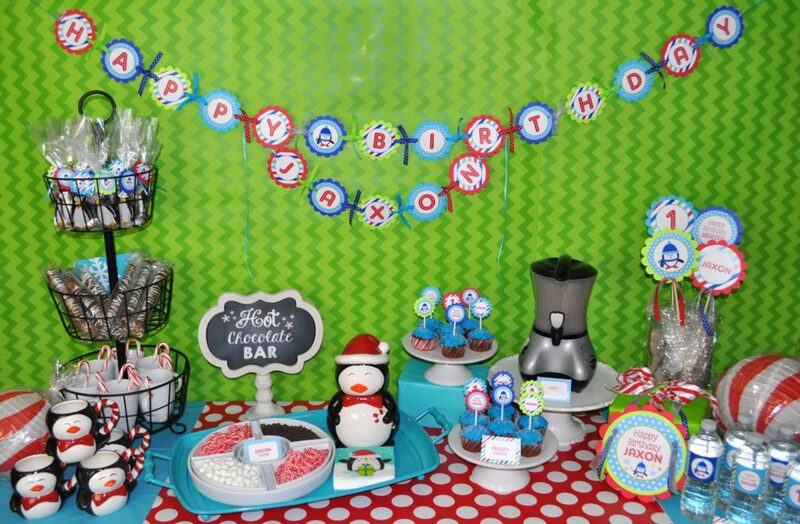 Fabric is such a great way to add personality to your party decor and is available in so many patterns that you can really create a statement with minimal cost and effort. The backdrop is actually just wrapping paper! I just rolled them down vertically and taped them together paying attention to try and match up the pattern. I wrapped empty boxes in coordinating gift wrap to create risers to place the cake stands on. 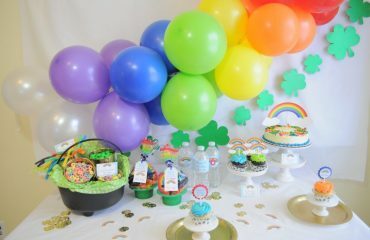 This helps to add different height on the table as well as coordinate with our theme. The cupcakes I just baked myself using chocolate cake with a bright blue frosting and clear sugar sprinkles to make them look nice and icy. 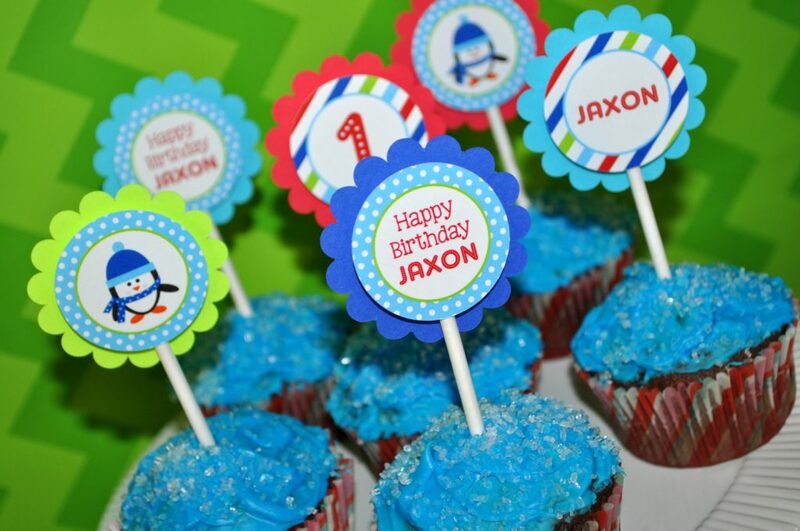 They are topped with personalized cupcake toppers which are always a huge hit. 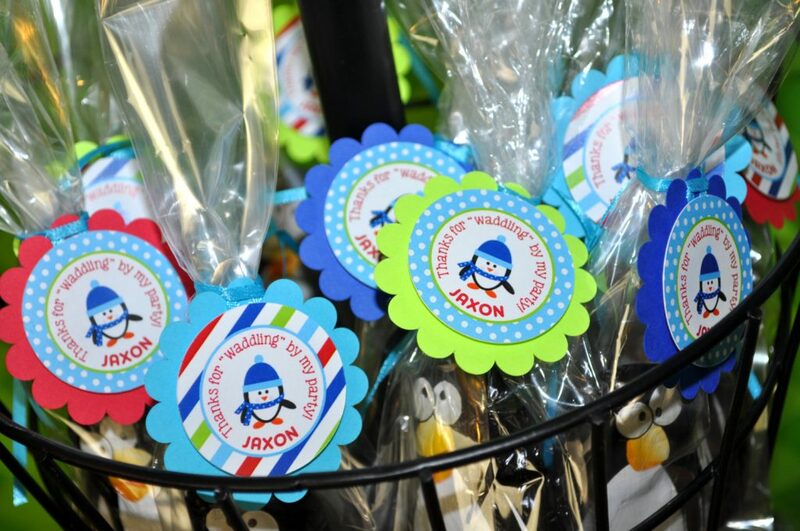 I found little penguin wrapped chocolates to put in the favor bags and tied them with these adorable personalized favor tags. I placed them in a three tiered basket which I also filled with more treats for the hot chocolate bar, cute mugs with candy canes and chocolate dipped pretzels. 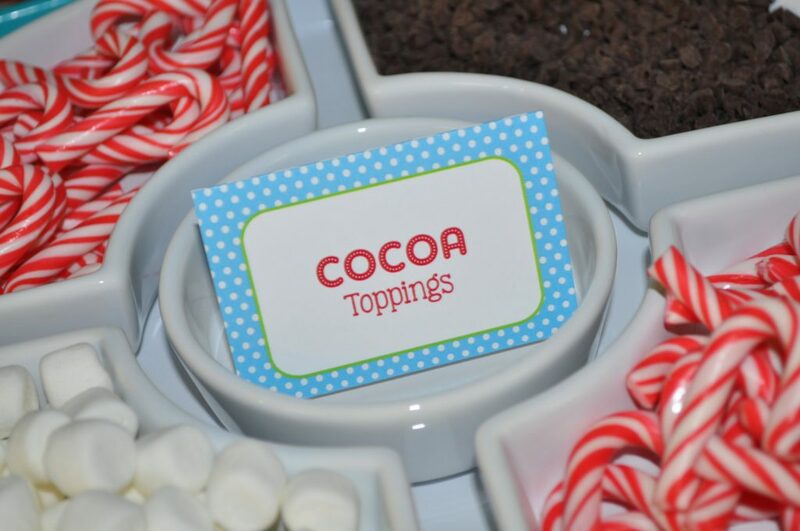 I placed all of the toppings such as mini marshmallows, mini candy canes and mini chocolate chips in a divided tray. 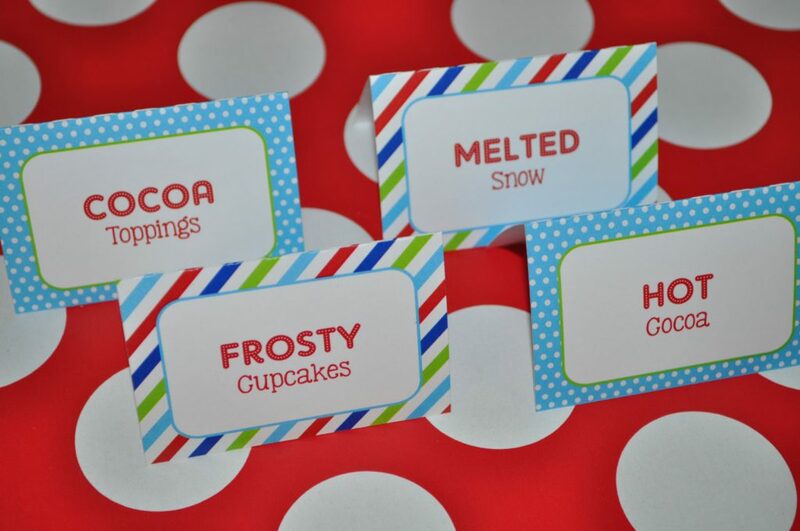 These food label tent cards are a great way to label all of your goodies on your table. 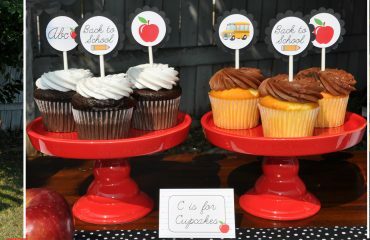 They are fully customizable, so you can get creative with clever names that match the theme and food you are serving. 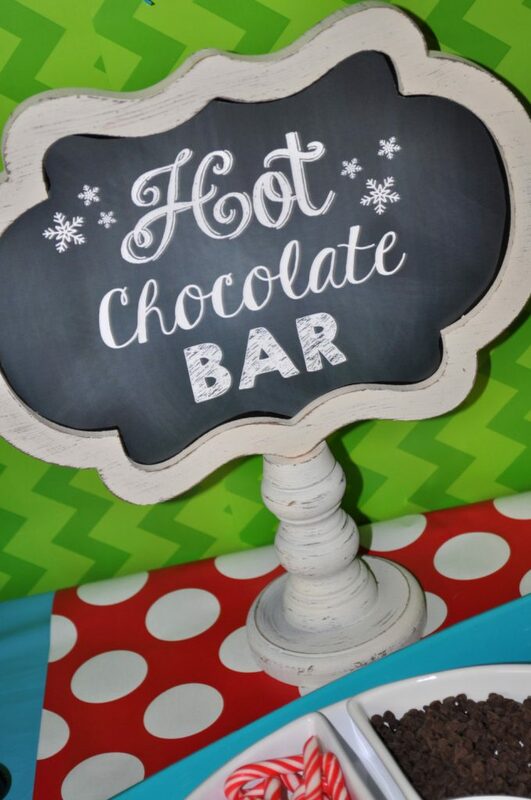 I just love how the hot chocolate bar sign turned out! The print is available in an 8″ x 10″ sheet for you to place in a frame. I found this cute chalkboard sign at Hobby Lobby. I just trimmed the rectangular sign to fit the shape of the sign and taped it into place. 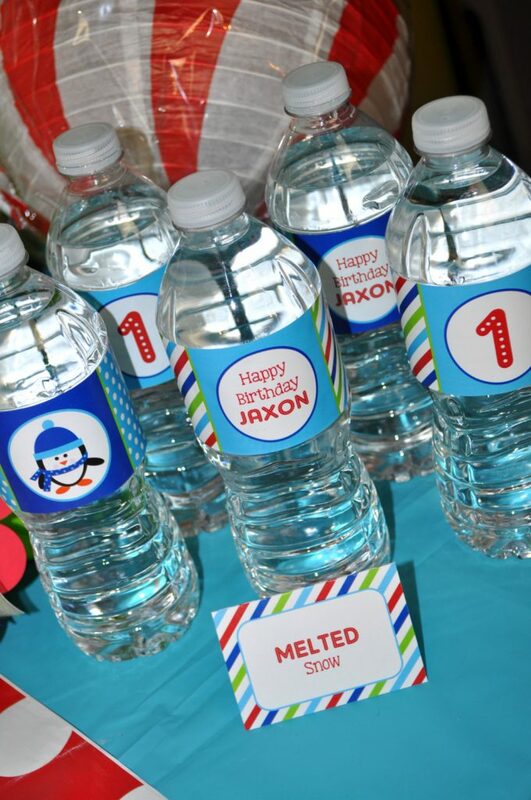 The party is complete with the personalized water bottle labels, birthday banner, centerpiece sticks, party sign and of course the invitations. 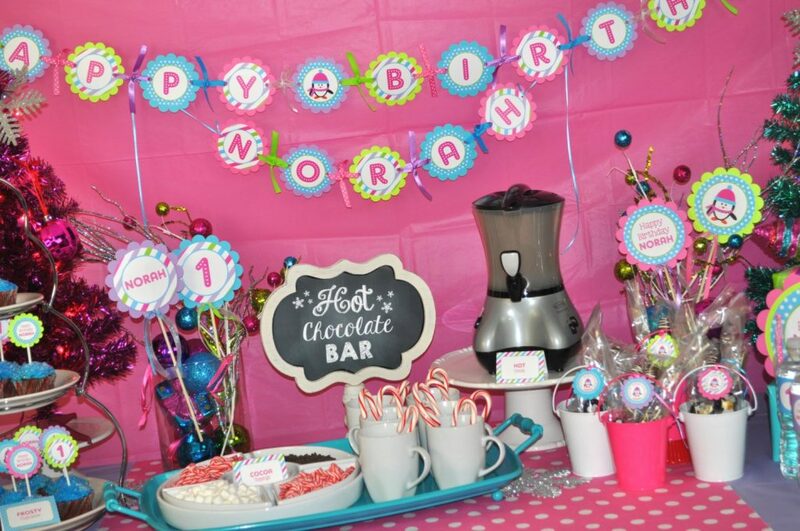 This party decor is also available in a pink girls version.